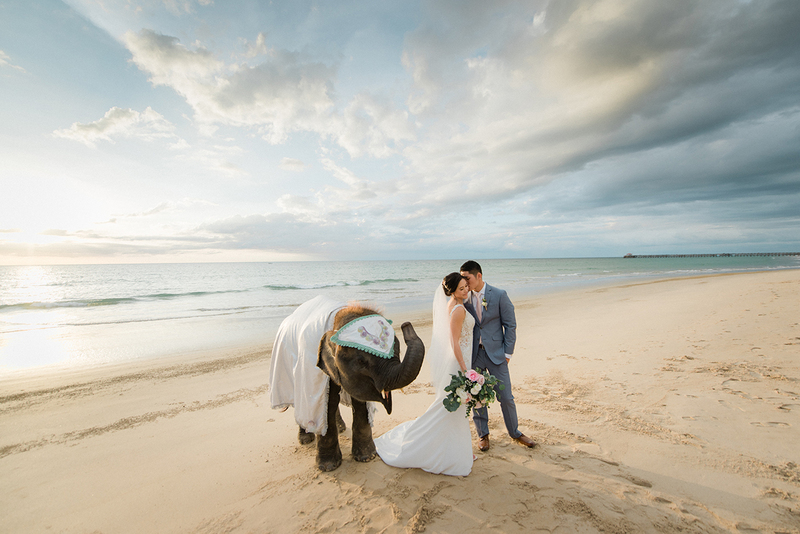 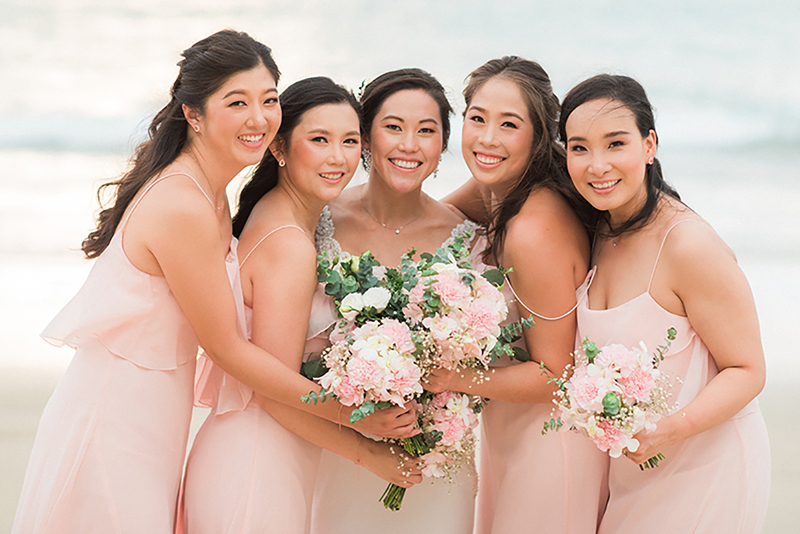 After exchanging vows in a heartfelt beach ceremony, Candace and Henry wandered the venues golden sands for a fun-filled photo session with their bridal party and a cheeky photo-bombing elephant calf. 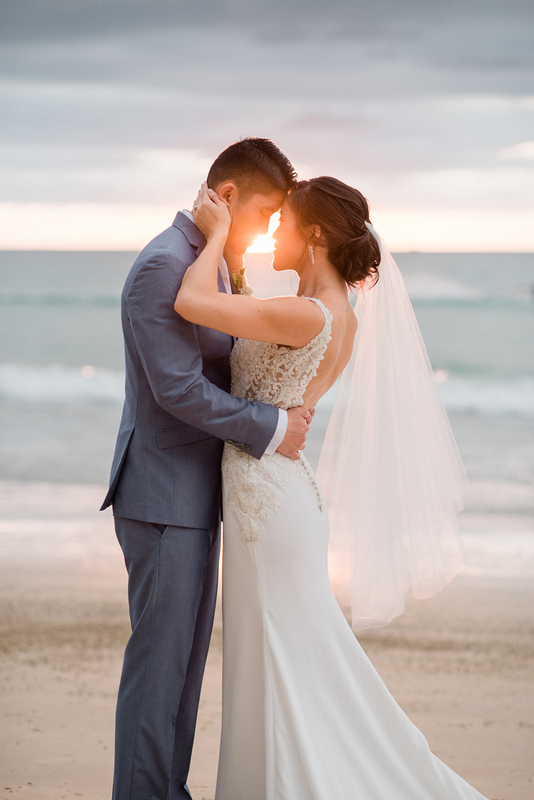 That’s what we call wedding photography goals. 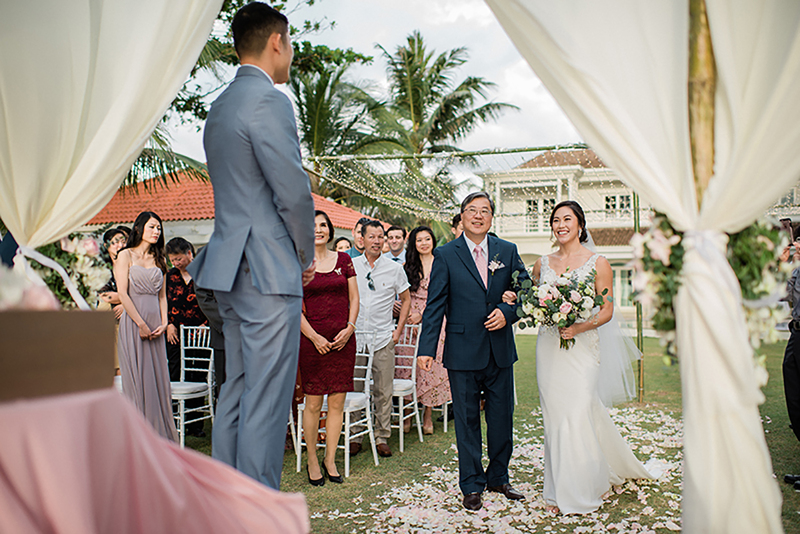 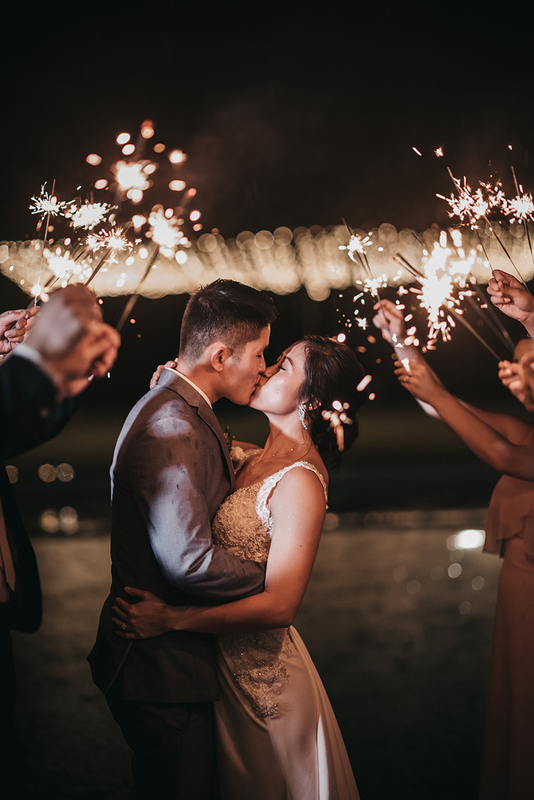 Joining friends and family for an outdoor reception under twinkling fairy-lights, the newlyweds tucked into a delicious Thai-inspired feast and shared a very romantic first dance. 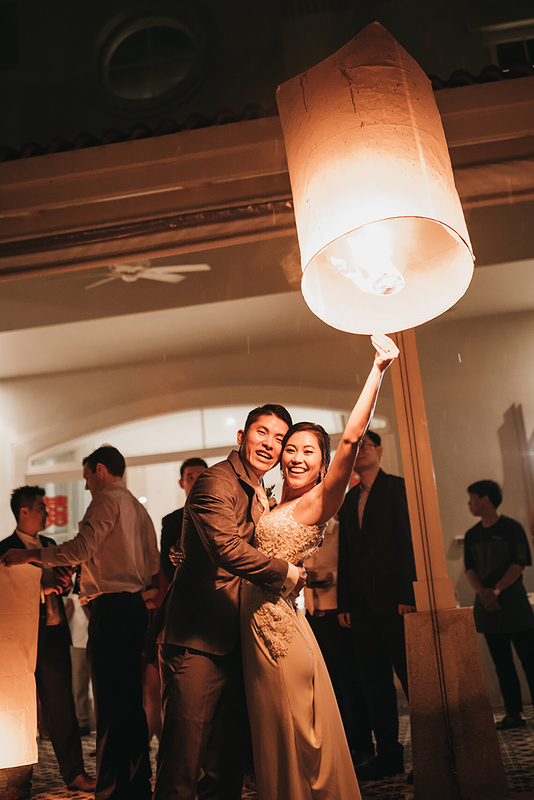 “It was such a sweet moment when we had our first dance and it started to rain,” remembers Candace. 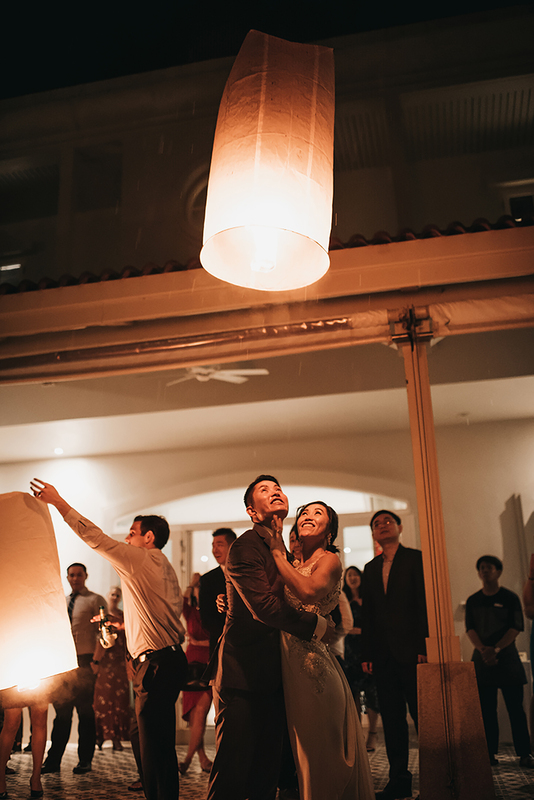 “It felt like it was just the two of us there.” Topping everything off, the couple treated guests to a dazzling fireworks display and later sent paper lanterns floating into the sky. 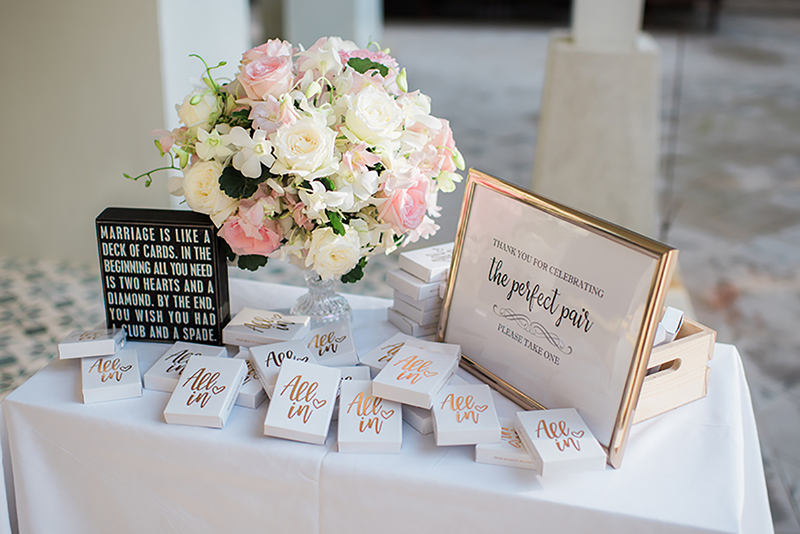 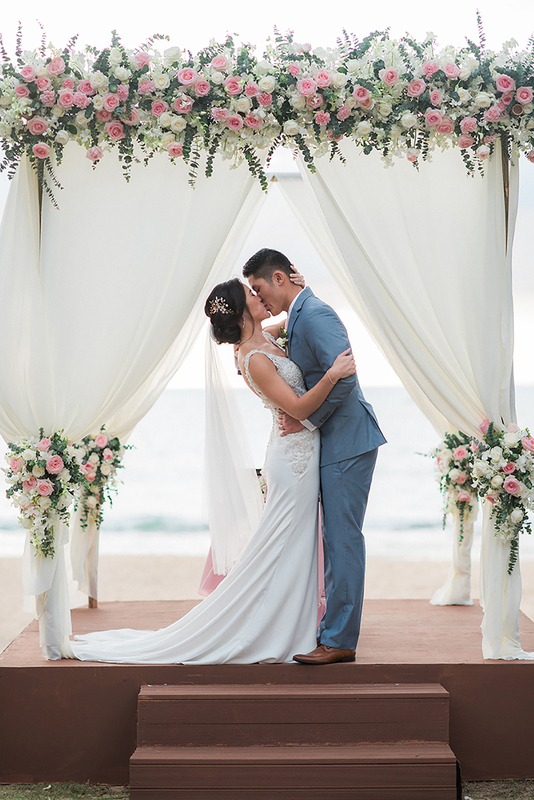 “It was my dream wedding come to life!” We’ll second that, Candace! 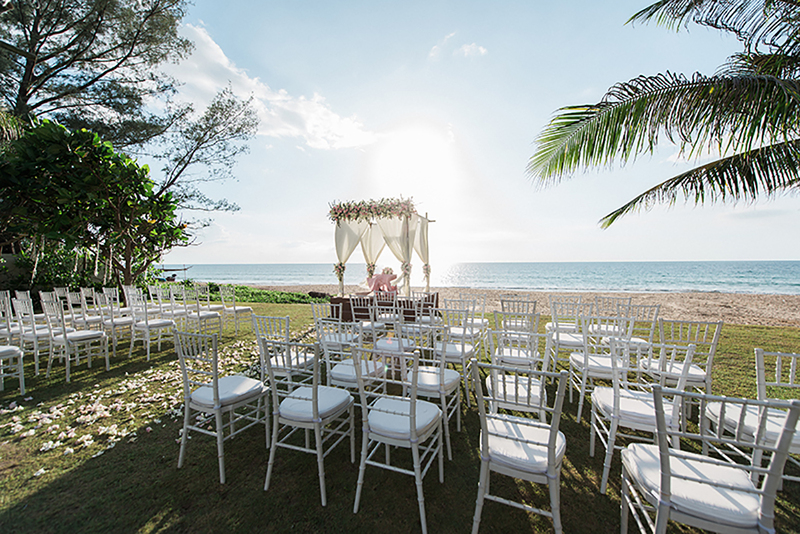 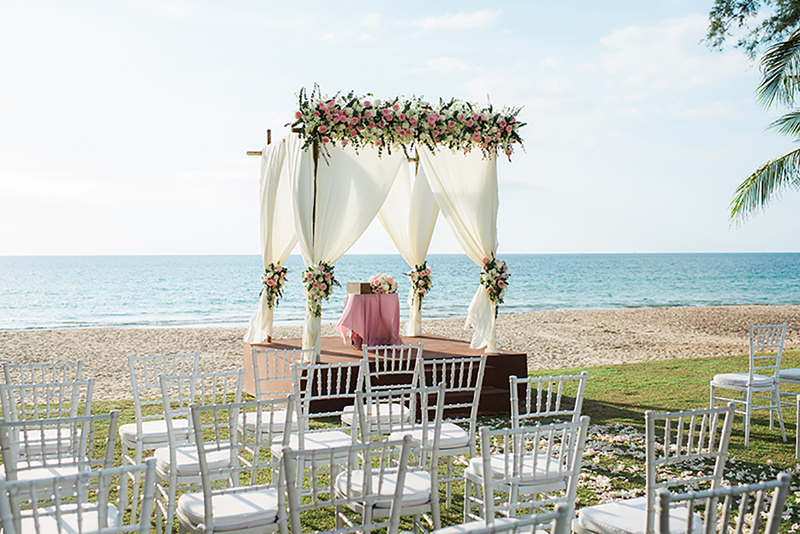 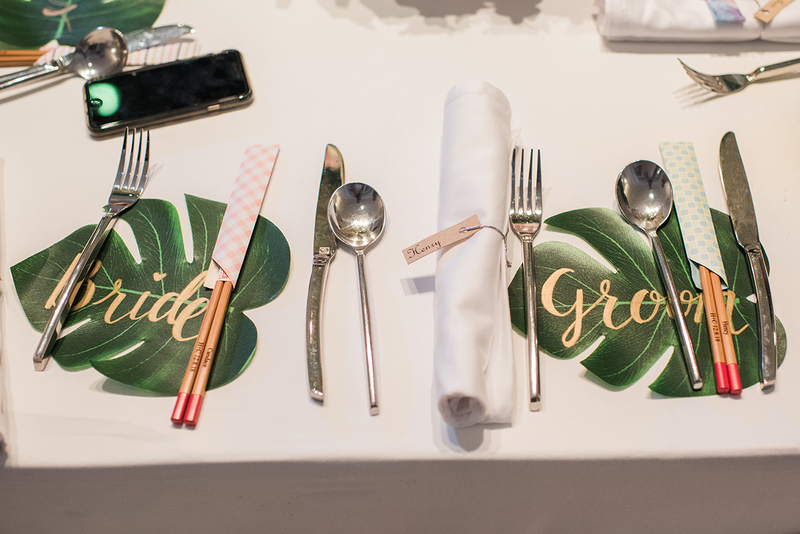 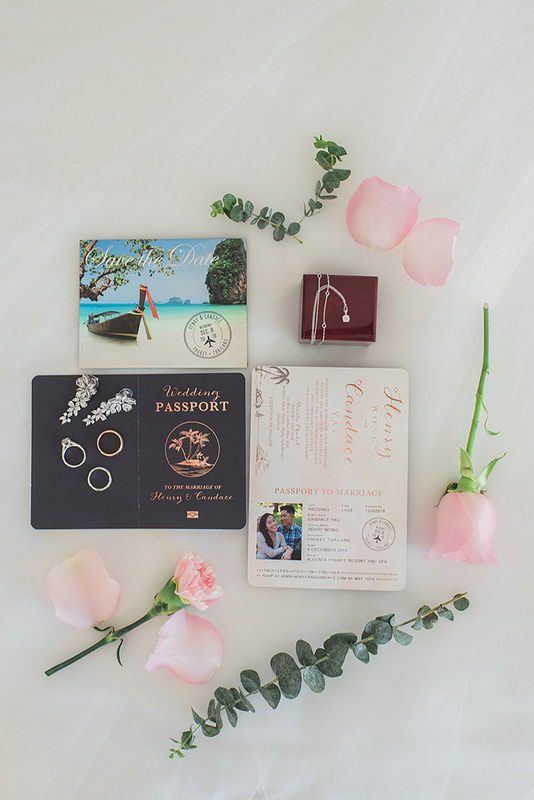 Love this and want to see more destination weddings in Thailand? 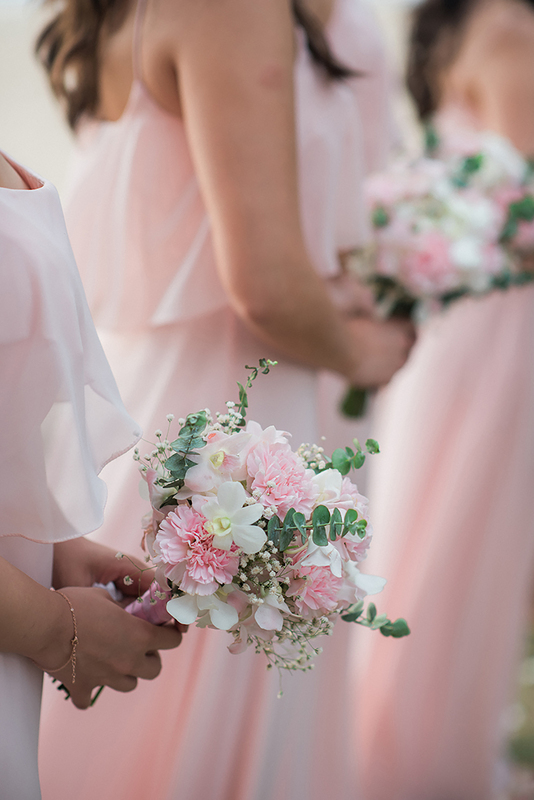 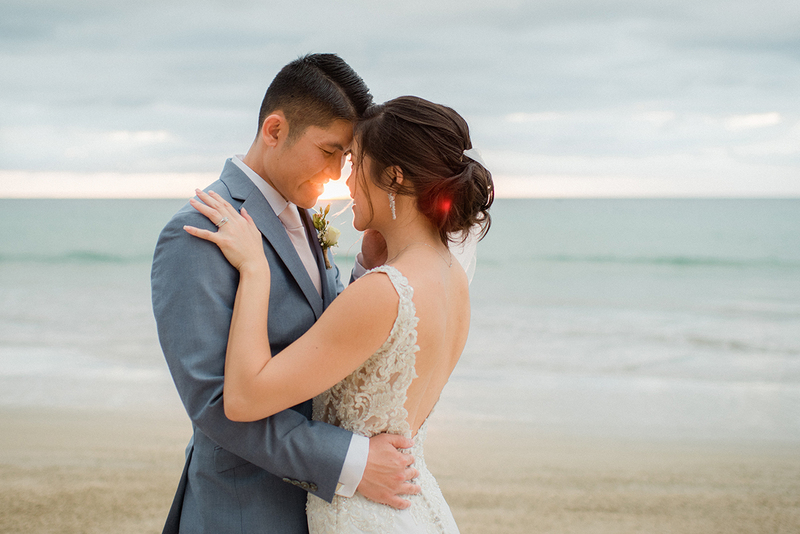 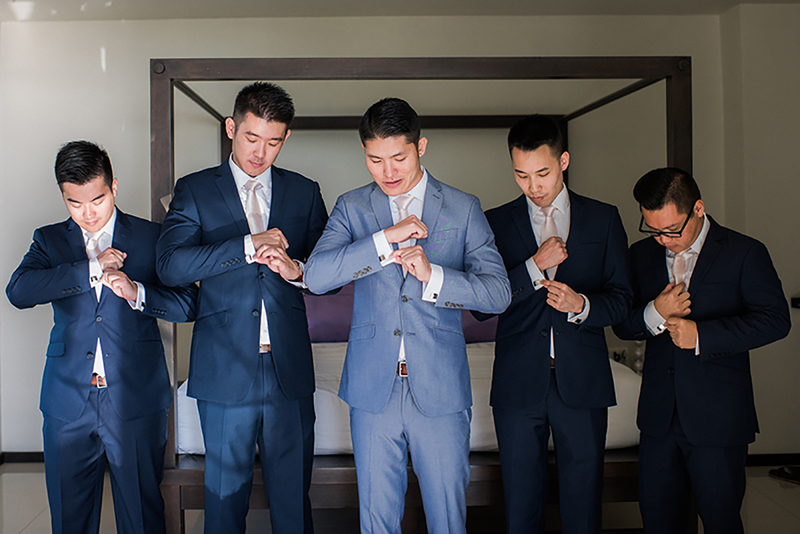 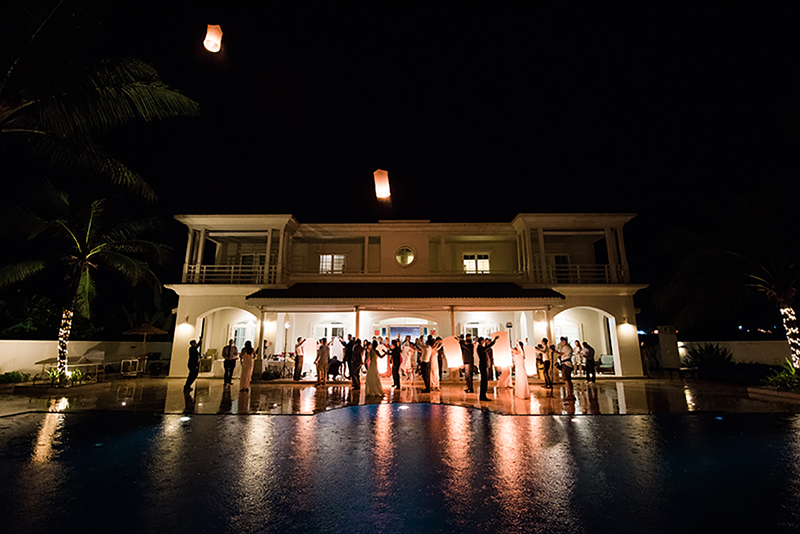 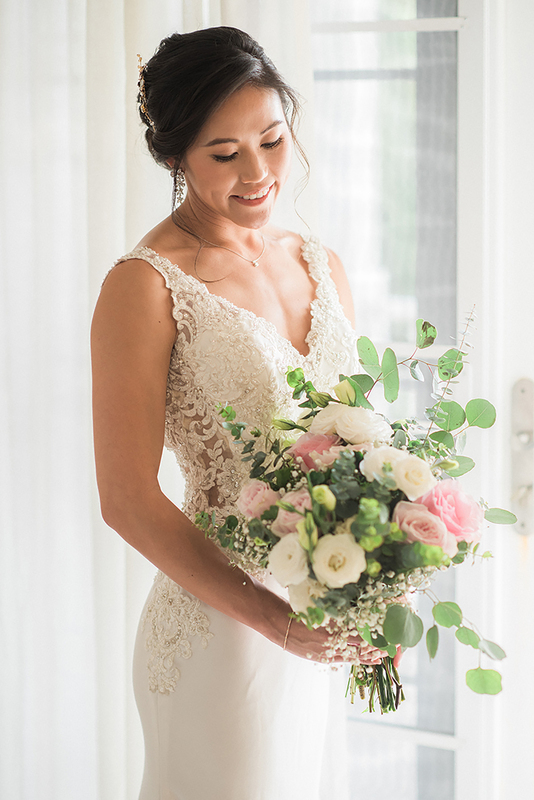 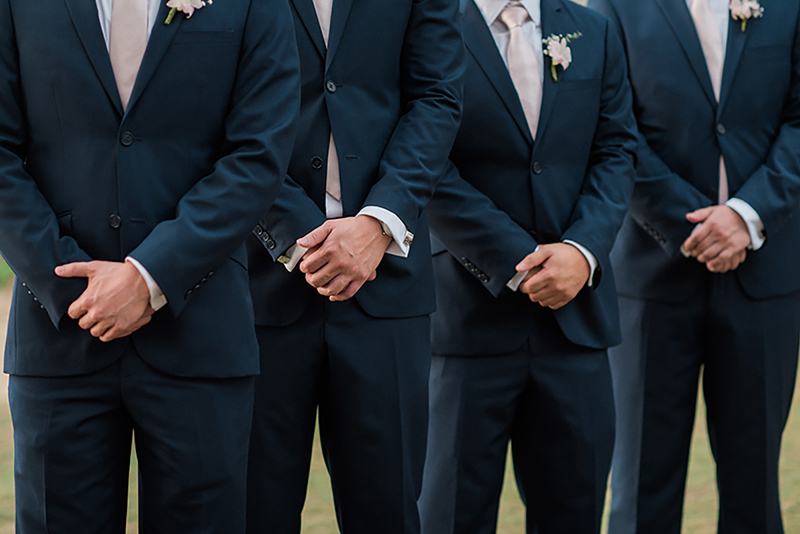 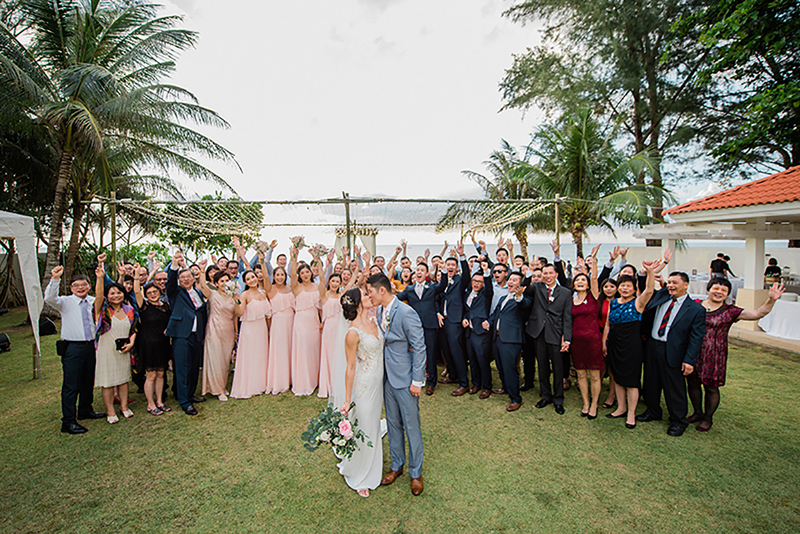 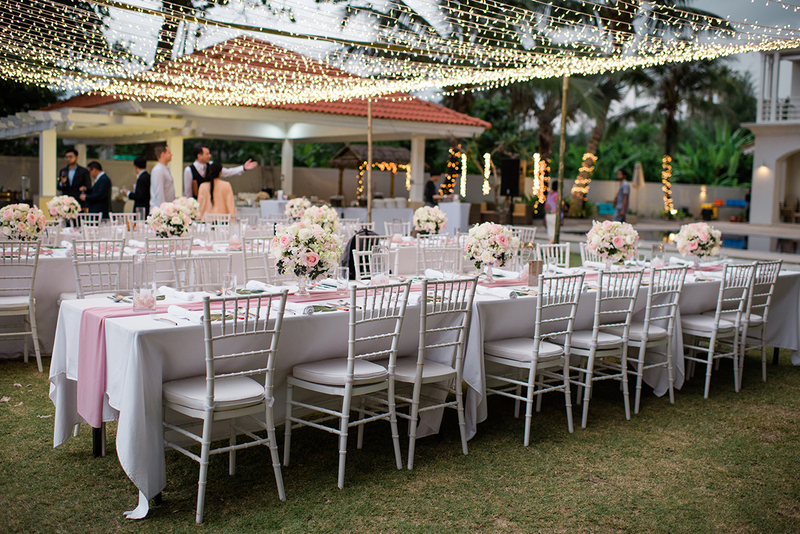 Check out Maz + Jason’s gorgeous day or our detailed Thailand Wedding Guide.